Satan disguises himself as the angel of light. A false light will destroy everything. Permalink: Satan disguises himself as the angel of light. A false light will destroy everything. You keep the windows intact, you keep society intact. Permalink: You keep the windows intact, you keep society intact. Except you didn't get us here. We got you here. Permalink: Except you didn't get us here. We got you here. 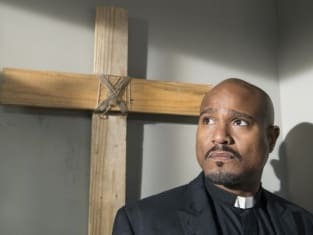 The Walking Dead Round Table: RIP, Noah!